Contact us for all your tree servicing needs. We come to your place 24x7 and provide our services at your convinience. 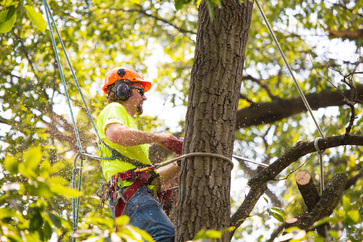 As a tree service Troy MI company, we are certified arborists, insured and we take pride in putting the customer first. We are TCIA accredited and all our tree technicians have taken extenisve training in in handling equipment like chain saws and bucket trucks. You can be sure our lawn and landscape is safe in our hands. If you have a compound that has trees or other plants, you know that it requires some care to flourish. Otherwise, the trees and plants dry up, some get pests and diseases while some of the bigger trees could pose a danger to cars, houses or even the people living in the compound. At Troy Tree Pros we ensure that your lawn is well taken care of by providing various tree maintenance services. This is the most basic service needed for every tree-bearing compound. Trees need to be maintained if they are to stay healthy and strong. If you do not pay attention to the trees in your compound, they could get sick or infested or compromise the structures in the compound such as buildings among other things. We offer maintenance services that will cause your trees to thrive and make your compound beautiful. If you have fruit trees, the best way to increase your yield is to prune them professionally. Our arborists will direct on what needs to be done to make your tree more productive. Our staff members are professionally trained so you can rest assured that your yield will improve. Apart from pruning, some trees may need trimming. This could be as a result of overgrown branches which may pose a danger to people within the compound. Sometimes the branches may be sturdy but you also need to consider the damage they would cause in case of harsh weather conditions such as strong winds or storms. 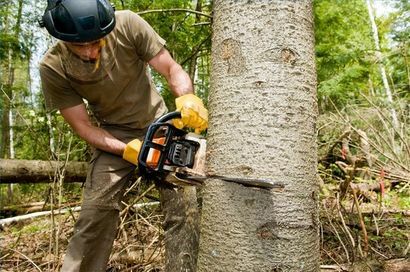 We provide trimming services while taking into consideration the natural shape of the tree. This is so that the beauty of the tree is maintained even with some of the branches getting cut off or trimmed. In some cases, pruning or trimming will not do the trick. We come in to remove trees completely by cutting them down. Some trees are beyond saving, especially when the danger they pose to occupants and their possessions such as cars or fences is real. We have equipment to remove trees easily, safely and effectively. If you have any tree that needs to be cut down or removed, we are the people to call. After a tree has been cut off, the unsightly stump still remains in place. To get rid of the stump, you can grind it. This is not an easy process and should not be attempted by an unskilled person. We have professionals that are trained for this specific type of work. This training guarantees not only the removal of the stump but the safety of everyone involved. Additionally, we gather the debris for mulching other plants in your compound or dispose of it if you do not need it. We tackle your problem head-on and in real time. We do not delay when it comes to visiting site, providing you with the estimate or even carrying out the process. Our foundational desire is to do the best job in the shortest time possible so that we do not cause any inconvenience to you. To ensure this, we also have the latest in machines and tools. Each service is charged in relation to the extent of the work. This is determined during the site visit. This allows you to save on money if your compound does not need much work. It also helps you to budget and plan for how much you will need in order to sort your trees out. Our informed estimates, unlike the standard ones that other tree removal services offer, are accurate. We have the best workers. We train extensively to impart the necessary skills before allowing a member to go on site. We have also been around for long and have gained experience through the jobs we have done during this time. If you would like to have your trees maintained, trimmed, pruned or removed, you have come to the right place. 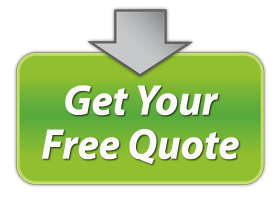 You can contact us at any time of the day and we will be right over to see what your lawn needs. After this inspection, we will also provide you with a free estimate. There are a lot of restaurant surrounding Troy, Michigan that you can choose from depending on your taste. If you want to grab a quick bite or late night comfort food you can try Troy Tim Hortons and Troy Deli. If your craving for a mexican foods you can visit Troy Taco Bell. If you want to grab some pizza Troy Original Buscemi’s would be the best choice. Troy Tree Service Pros is located in Troy, Michigan which is also located at the heart of Metropolitan Detroit’s northern suburbs. Troy is a leading business and shopping destination with premier office centers and the upscale Somerset Collection. Troy is home to a wide range of businesses – from small family run operations to Fortune 500 companies. Allowing Troy Tree Service Pros to provide their clients with the best services in the area. They structure their services and provide clients the best way possible, allowing them to enjoy. Driving Directions from Oakland County Troy Airport to Troy Tree Service Pros: Head west on Industrial Row Dr toward Coolidge Hwy then turn right onto Coolidge Hwy and turn right onto W Big Beaver Rd then sharp left onto E Big Beaver Rd. Turn right onto Rochester Rd then pass by Taco Bell then on your right you should get to Troy Tree Service Pros. Driving Directions from Central Michigan University Troy Center to Troy Tree Service Pros: Get on I-75 S then continue on I-75 S to Rochester Rd. Take exit 67 from I-75 S and merge onto I-75 S then take exit 67 for Rochester Rd. Keep right at the fork, follow signs for stephenson Hwy Rochester Rd S and merge onto Rochester Rd then drive to Rochester Rd and merge onto Rochester Rd then make a U-turn at Wheaton St then pass by Taco Bell then on your right you should get to Troy Tree Service Pros.